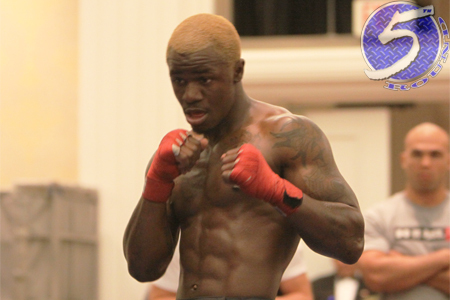 Melvin Guillard (Pictured) promised to punish “cowardly” Jamie Varner at UFC 155 for pulling out of their initial encounter at the 11th hour due to illness. Instead, it was Varner who posted a lopsided split decision victory on Saturday that has put Guillard’s UFC future in jeopardy. “If you ever notice, when Melvin Guillard comes out with that explosive, tries to go after you and knock you out [mentality], he wins more fights than he loses,” UFC president Dana White expressed shortly after Guillard’s defeat. “When he has that sit back and wait kind of style, he’s just not as effective as he is when he lets it all go. In June 2011, Guillard was on the cusp of sniffing a championship affair after notching his fifth straight win. The lightweight has since dropped four of his last five scraps, three of which have ended within the opening round. Chances are Guillard will be granted another go, especially when you consider Leonard Garcia was gifted a reprieve after losing his fourth consecutive fight. On the flipside, Guillard is competing in the UFC’s deepest division, which will only get stronger with Strikeforce’s talent transitioning over, whereas Garcia is a featherweight. In any event, Guillard is now on White’s radar. It’s time to see if “The Young Assassin” can reclaim his nickname.